Treat your loved ones ! 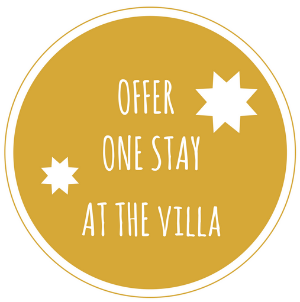 Offer a stay in bed and breakfast at Villa Saint Raphaël. Discover Saint Malo and Brittany. 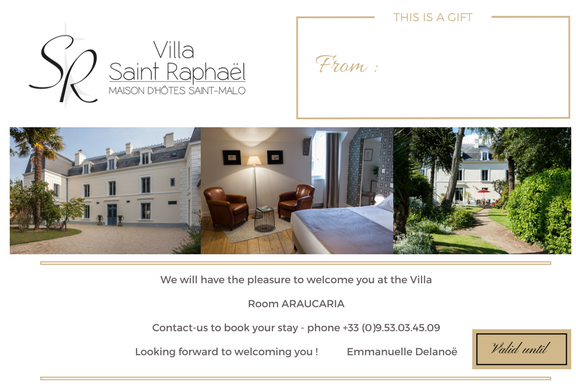 You have the opportunity to offer a gift voucher for a stay at Villa Saint Raphaël guest house in St Malo for 1, 2 or more nights in the room of your choice. Do not hesitate to contact us to order a gift card. 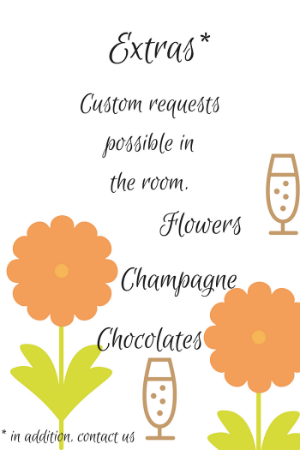 We are at your disposal to make this gift a nice surprise and a great moment to remember. – Select your accommodation (room or cottage). – Order by email or phone : +33.(0)9.53.03.45.09. – We will confirm in return the total amount due and once we get your OK, we will send the gift card to your attention in the next 2 days. – No need to choose the dates of stay. Gift cards are valid 1 year.